To grapple with the challenge of staging King Lear has to be the Shakespearean equivalent of trying to produce an entire Ring cycle. The play is so vast, so all-encompassing, its web of theatrical and emotional motifs so intricately woven, that it’s no wonder old-fashioned — well, OK, ancient — critical opinion deemed the play simply “too huge for the stage” (A.C. Bradley). But visionary productions over the past century have dispelled that misgiving. Or maybe it’s just that the course the world itself has undergone makes us more receptive to Lear‘s devastating dramatic truths. Sometimes it almost seems as if Shakespeare had written the script for our times — and we’re just bumbling along, trying to act it out. Things don’t just fall apart; they coil toward entropy. In Seattle Shakespeare’s new production, the play’s apocalyptic dimensions are essentially eclipsed by the familial — and all-too-familiar — realism of dysfunctional relationships and personal psychology. Director Sheila Daniels conceives the tragedy as an intimate echo chamber of unstable characters who are progressively losing it. 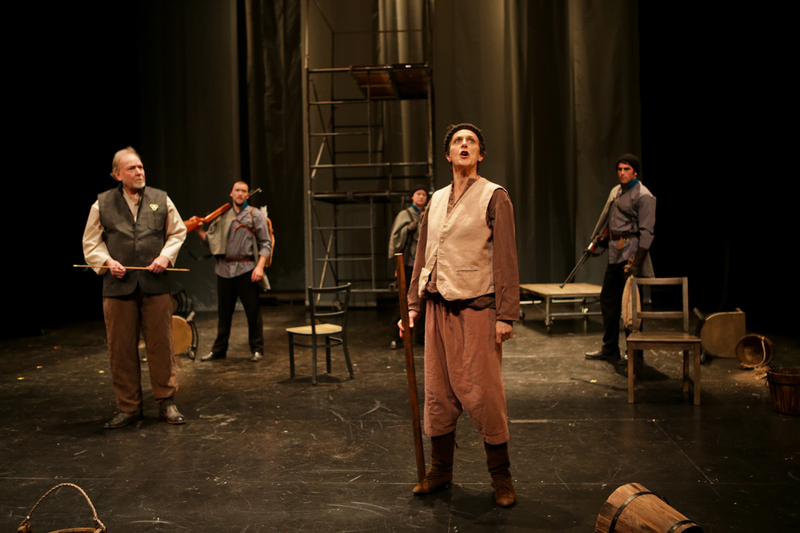 What they undergo entails a series of variations on the theme of Lear’s crack-up. Scene by scene (with the whole divided here into three acts), their attempts to impose order on events, to get closer to their desires, become increasingly desperate. 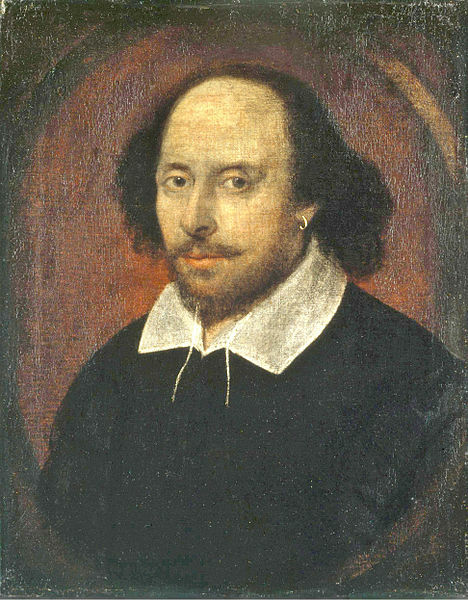 The overriding impression isn’t so much of the grim inevitability of consequences — Shakespeare’s merciless updating of classical “fate” — as of psychological meltdown. As the ex-monarch, Dan Kremer underscores this approach through the unpredictable variability of his temper. It works very well for the first sections of the play — particularly in how it clarifies the relationship between Lear and his daughters that has already charted the course of the tragedy long before it begins. We see how Goneril (Linda K. Morris) and Regan (Debra Pralle), given neatly differentiated portrayals here, aren’t just self-serving but have been brought up to fear daddy’s mercurial outbursts. Elinor Gunn’s Cordelia shows a steely stubbornness she must have learned first-hand. That’s what keeps her from seeing the danger she puts herself in — not a martyr complex to speak truth to power. As for their husbands, while the Duke of Cornwall compresses into a sadistic psychopath (Gordon Carpenter), Shakespeare gives amplitude to the Duke of Albany (Patrick Allcorn) to grow in self-awareness and influence. 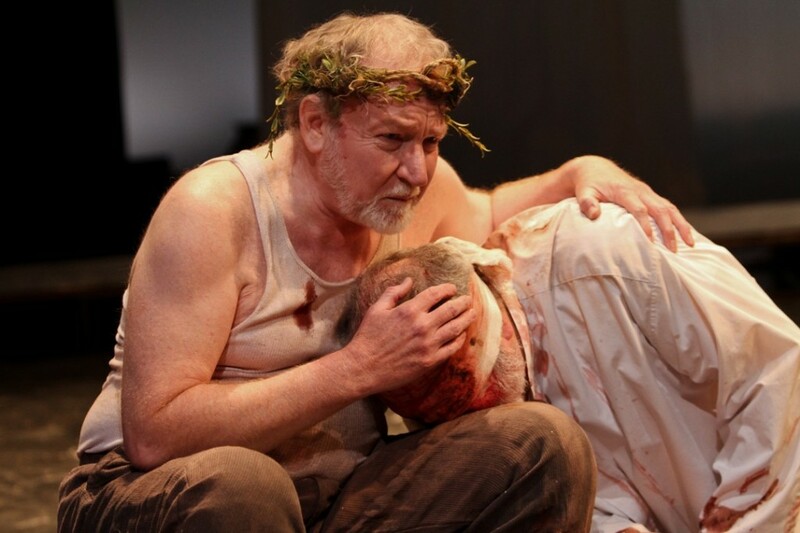 What lacks the needed emotional force are the actual climaxes marking each way-station in Lear’s descent. Kremer’s scene on the heath becomes just another fit, his verbal torrent more a fest of self-pity. By the same token, the Lear Kremer depicts in the final scenes fails to stir any deeper pity than he already has at the beginning of his long humiliation. Kremer is more compelling in his interactions with “the other half” — with the fellow victims of ruin who never seem to faze him as they cross his path and all head toward the final confrontations at Dover. His reunion scene with the blinded Gloucester (Michael Winters) is especially resonant in its unsettling blend of horror and comic absurdity. Some stand-out performances by others in the cast tilt the focus of the play in interestingly unexpected directions. Eric Riedmann’s chillingly embittered Edmund — possibly the most accomplished single interpretation — conveys the malign intelligence of a Iago yet always feels human. It’s one of Daniels’ strengths to clarify each character’s motivations in a way that makes them psychologically persuasive, further emphasizing the intimacy of family connections in this production. Riedmann moreover revels in Shakespeare’s poetry, articulating its sonorities and rhythms with a relish and variety I wish were not otherwise the exception in this cast. The only misstep is the close-to-campy exaggeration of the sexual dalliance between him and Regan. Winters makes Gloucester’s wishful gullibility work, and the scenes with his two sons are among the most vividly realized. In his guise as Poor Tom, Jorge Chacon draws on physical hints he’s shown us as the nervous if good-natured Edgar. King Lear is notable for the overdetermination of the fool archetype. Along with the official fool (Todd Jefferson Moore), the disguised Kent (played as a “Duchess” by the splendid Amy Thone) and Poor Tom on the heath reinforce the fool’s function of bearing witness to the truth as they retreat most deeply into their roles. Thone and Jefferson have a winning dynamic together and help re-introduce some of the play’s larger perspectives — particularly, its obsession with the power of language to shape reality, both positively and negatively. This is what gives the humor they interject its edge. After all, they continue to subject Lear to the treatment that outraged him when it came from Cordelia. But even to “speak what we feel” is a kind of rhetoric, if the mirror side of Lear’s fulminations and curses. Language is the one thing the dispossessed king is left with — the very language he obviously abused throughout his reign. 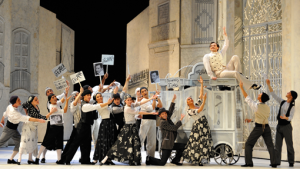 The scenic conception is notably weak and lags far behind the many fine nuances of the ensemble’s acting. Daniels, who collaborated with set designer Craig Wollam, opts for a colorless, ultra-minimalist playing space with a backdrop of hanging plastic and linen sheets and a scaffold that rolls to and fro. 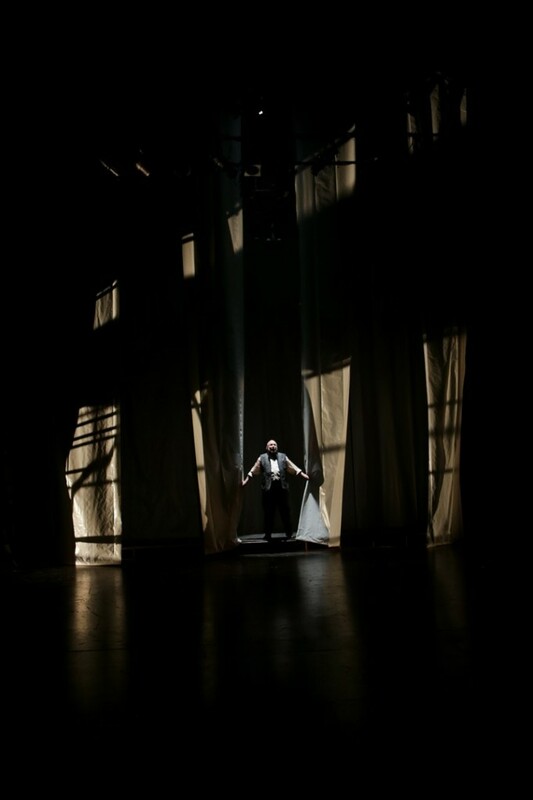 It is a way of making the stage the world, but the process of stripping away so essential to the play’s arc has already happened by the start. Melanie Burgess’s abstract-pattern, cheerless costumes seem out of sync with the high contrasts of Jessica Trundy’s lighting. I do like the effect of cruel illumination upon the arrival at Dover, but the veer toward a horizontal Rothko glow at the end puzzles. Robertson Witmer picks up on the script’s references to drums to create a sternly percussive sound design. 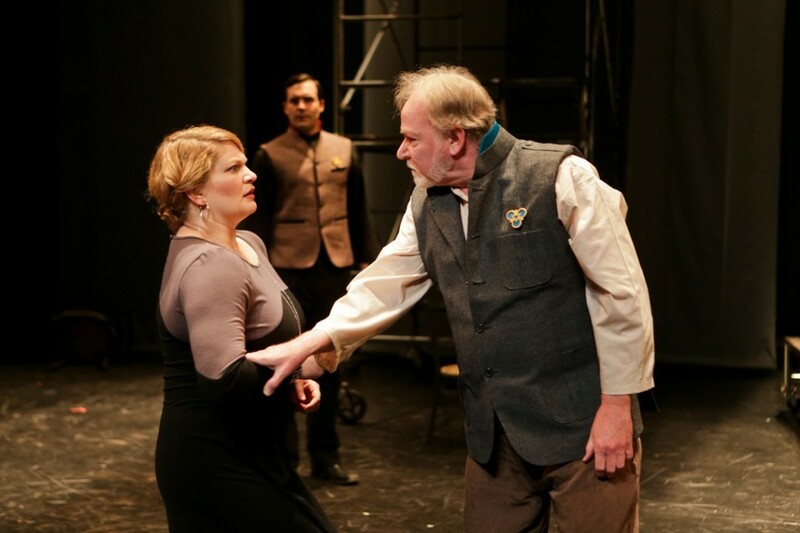 Seattle Shakespeare Company’s production of King Lear plays through May 17 at the Cornish Playhouse (formerly Intiman) at Seattle Center, Wed. – Sun. 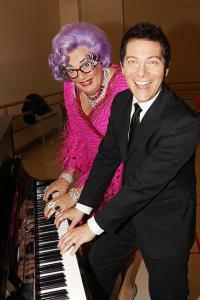 Tickets here or call 206 733-8222. 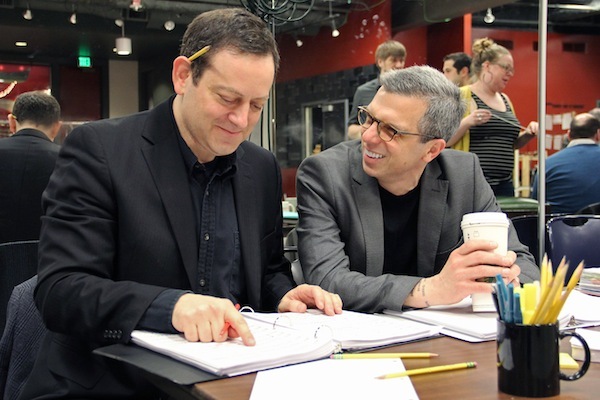 Photo of Jeffrey Stock (l) and Marc Acito (r) by Jeff Carpenter. It was just a little over a century ago that E.M. Forster published A Room with a View, neatly bookmarking the end of the strictly organized Edwardian era he so memorably satirizes. But amid its social critique, the novel traces a journey of romantic discovery. This is the journey undertaken by the heroine, Lucy Honeychurch, as the promise of love prompts her to challenge the code of conventional behavior she has been brought up to obey. The success of the 1985 film A Room with a View, produced with characteristic opulence by the Merchant-Ivory team, won a new generation of fans over to Forster’s elegant fiction. After all, Lucy’s awakening begins during an actual journey, and the stunning Italian and English landscapes of the novel’s setting lend themselves naturally to cinematography. But writer Marc Acito and composer-lyricist Jeffrey Stock decided that Forster’s vision is also ideally suited to the medium of musical comedy, and their hunch quickly attracted the interest of theaters devoted to nurturing new works. Following initial incubation at the Musical Theatre Lab at Running Deer Ranch (located at the base of Mt. Adams), Acito and Stock were invited by San Diego’s Old Globe Theatre to audition what they’d come up with. Nine months later, A Room with a View received its world premiere there in March 2012. 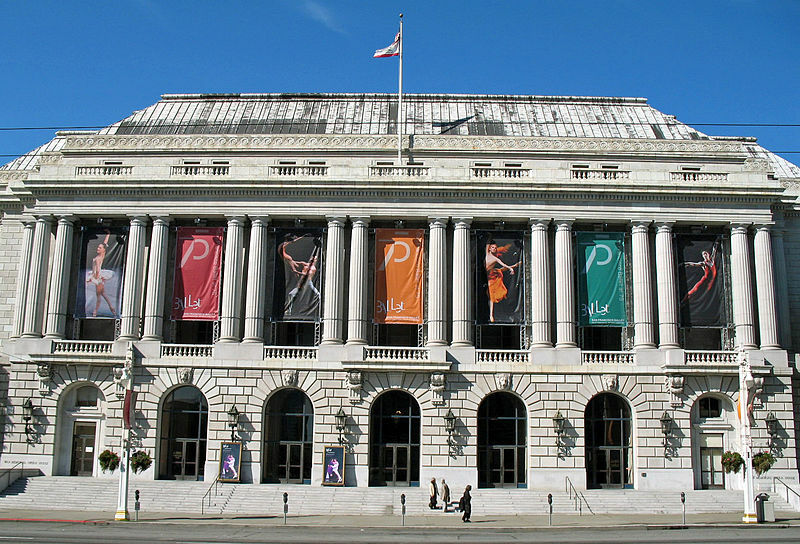 My cover story on San Francisco Opera and how it reflects the city’s love affair with the art is now online in the Spring issue of Opera America magazine.